As a mobile app developer, you can't ignore the significance of keeping a good tab over all the latest app development tools and technologies that have been introduced into the world of mobile app development. Missing out even a small tool can easily refrain you from gaining a unique edge over your fellow app developers. 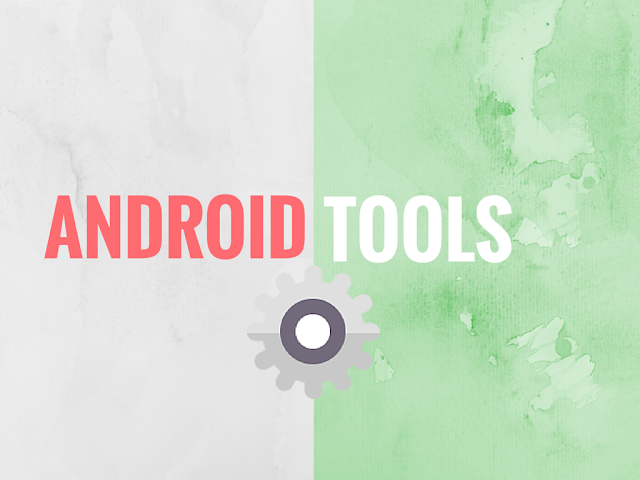 In today's post, I'll be making you familiar with 10 most essential Android App Development tools that can allow you to make “Big” in the world of mobile app development. So, let's get on with exploring a lot about these finest tools. An an online mobile app prototyping and storyboarding tool, Fluid UI allows you to collaborate native-looking mockups. Get on-board with other 300,000 designers who are using Fluid UI for visualizing the basic flow of their mobile apps. With Fluid UI, you have the freedom of choosing from a whopping 3,500+ mobile, desktop, tablet and wearable widgets or opt for uploading a custom image for achieving a pixel-perfect appearance for your Android application. Recently, Fluid UI has come up with its Enterprise edition that has been designed keeping the large business organizations in mind. You can use this tool for rendering a bespoke user experience via your Android app. Dedicated to app developers indulged in HTML5 development, Intel XDK is pre-built into Chrome, allowing you to streamline the process of developing an Android app conveniently. You can use Intel XDK for designing, testing and building HTML5 apps efficiently. Plus, you can avail the opportunity of delivering your app on multiple app stores and form factors. Intel XDK is developer-friendly and makes the process of designing, building and testing apps a complete breeze. Built with the sole aim of cutting down the app development time, Intel XDK supports integration with various third-party plugins that work as great tools for in-app purchasing and flawless advertising. The Android Debug Bridge(adb) tool allows you to upload and download files, access multiple features via the shell available on emulator or device, install and uninstall packages etc. As a versatile command line tool, Android Debug Bridge allows you to perform a query for emulator/device instances. While typically, Android Debug Bridge is used over USB, you may even use it over a Wi-Fi connection. If you're facing issues in starting an emulator and running your Android application, then Genymotion is the tool for you. It comes with a free hardware accelerated Android emulator which makes running an app is fast and hassle-free task. The best thing about Genymotion is that its virtual devices support a wide range of Android API levels and is fully compatible with Android Studio. Trusted by over 2,500,000 app developers across the globe, Genymotion is easy to install and comes with a user-friendly interface. Serving as the Android logging system, LogCat provides you a good mechanism for viewing and collecting system debug output. It is accessible from within Eclipse and Android Debug Bridge(adb). With LogCat, you can easily receive useful diagnostic details about different events that have occurred on your logging system. Moreover, you can easily let your applications to log the debugging and diagnostic details to this tool. One of the most interesting things about LogCat tool is that you can run it as an adb command or directly in the form of a shell prompt belonging to your connect gadget or the chosen emulator. As a cloud-based app development tool, Appscend comes with a wide range of shortcuts that enable you to make your app available for the world. This tool utilizes PHP and an XML markup language for merging the intuitive properties of cloud-based CMS and template-based design system to help you with balancing of the app content. The Appscend UI permits you to add advertisements, followed by uploading the app to Google Play and other popular app stores. As an open-source GUI(Graphical User Interface) prototyping tool, Pencil comes with a pre-built collection of multiple shapes like Android GUI shapes, flowchart elements etc. With Pencil, you can take full advantage of multiple diagram drawing features, pre-installed Android UI stencils and inter-page linking facility. Available in its current version 2.0.5, Pencil serves extremely helpful for creating stunning mockups for apps targeting different mobile platforms. All the above mentioned Android app development tools offer excellent options to an app developer. Right from organizing the app development process to automating the tedious tasks, these niche tools introduce a whole lot of convenience to your Android App Development project. My name is Amanda Cline and currently I'm employed with Xicom Technologies Ltd - A reputed Android Application Development Company, with an excellent track record. She has been an avid IT personnal with special interest in writing posts that serve as handy guide for individuals looking out to build a strong career in IT services and solutions sector.